I gave Yellowcard's last album a 3.5, which is good because this definitely isn't as good as that one. I liked the Someone That's Not You EP... Might have to check this out. Andcas is my bro, Tyraelxy. We just happen to disagree on our pop punk digs sometimes. "I like chipmunk despite his brief moments of pop punk inaccuracy." A lot of pop punk does bore me as of recently. A lot. Last I recall, Suburbia is like a 3-3.5 for me. I much rather preferred the previous album. "maybe you're coming down with a severe case of the yankeesdudels." Pop punk was the first genre of music I actively listened to. The interest was going to die down some day. Man Overboard's self-titled in that a lot of the songs were really boring. Also, we need a staff member review the new Bouncing Souls record. Album is lacking an AJ Perdomo guest spot, also, they still sound too much like early All Time Low, they need to find their own sound imo. Old ATL was pretty good. I don't think this really sounds like them. 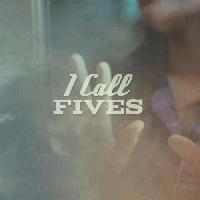 i think naming a band "i call fives" is a lot stupider than all of those names you listed. it's subjective i guess. Nothing wrong with a "solid 3". Give it time chipmunk... As strange as it is to label an album with similar songs as a grower, I think it is. Really BaseballJames. If it was because of the slower duo, then you won't find anything like that here... 'The Fall Guy' maybe. I actually agree with both of your comments Leatherneck. I loved that track which featured AJ (even more the catchy as hell 'Elevator')... And I've always said that early All Time Low is under-rated. People just can't get past their more current sound. I don't care much about band names. I mean, if I can get past Dananananaykroyd, nothing will bother me. Listening to this now. I think it's awesome they mention listening to the Ataris "So Long Astoria" in the song stuck in '03. Although that's definitely The Ataris best album it's nice to see them get some love. OOPS I mean that's definitely NOT the Ataris best album.